The Taylor E-2 was the predecessor of the popular Piper J-3 cub. Mike Bortsheller constructed this model for the opening of NASM in 1976. 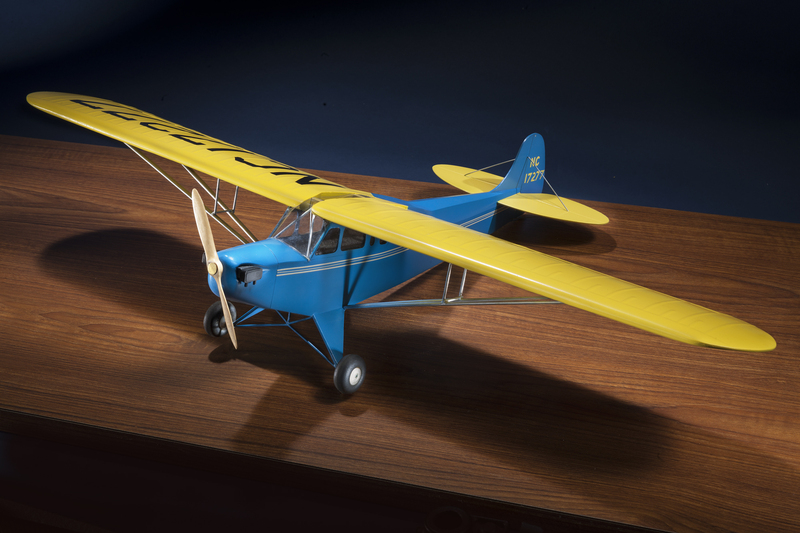 In 1930 C. Gilbert Taylor of the Taylor Aircraft Company designed the E-2 Cub as a small, light general aviation aircraft. The E-2 was the predecessor of the Piper J-3 Cub which became one of the most popular light aircraft of all time and served in the military during World War II as the L-4. Unlike many of the tradtional wood models in the collection, this model was constructed of fiberglas, resin, aluminum, and plexiglas by Mike Bortscheller. The model was commissioned in 1975 for the Golden Age of Flight gallery in the new National Air and Space Museum building. Photo by Eric Long, Smithsonian National Air and Space Museum (NASM 2014-04801).